Raccoon City used to be such a nice place to live, until strange gangs started terrorising families living on the outskirts of the city. We’re not talking about the kinds of gangs that throw eggs at your window or hang around menacingly in their hoodies on street corners either. According to reports, this particular brand of hoodlum has been eating their victims alive. It’s up to the Racoon City STARS investigative team to get to the bottom of these grizzly goings on. While looking for their missing colleagues, Jill, Chris, Barry and Wesker from STARS find themselves trapped in a spooky looking mansion in the Racoon countryside and must stay alive long enough to uncover the sinister plot woven by the evil Umbrella Corporation. Hugely influential and often credited with creating the survival horror genre, Resident Evil was ground breaking when first released on the Playstation in 1996. The franchise is still going strong today, with the sixth game in the series having just been released. Although the first Resident Evil game has been re-made and released on the Nintendo Gamecube and Wii consoles, the PC version of the game is truer to the original experience, with the original low-budget FMV sequences and the fondly remembered terrible voice acting. While the controls in the game are certainly dated, there’s still an immensely playable action/adventure game here and one that any newcomer to the franchise should definitely check out. The installer program had a few issues running correctly on our Windows 8 PC, but it’s nothing we can’t work around. Start by inserting your Resident Evil CD-ROM and closing or cancelling any auto run windows that appear. Open the CD-ROM in Windows Explorer or File Explorer and change the programs “Checker.exe”, “Launch.exe” and “Setup.exe” to run in Windows 95 compatibility mode. If you’re not familiar with setting compatibility modes, see this tutorial. Now, run the “Checker.exe” program and choose “Install Resident Evil”. You may receive several obscure error messages at this point, but just ignore them. Install the game as normal, make sure to make a note of where the installation folder is placed as you will need to make changes to it later. When you are asked what kind of graphics card you have, choose any option labelled “Rendition”. We selected “Creative 3D Blaster” on our Windows 8 machine. Do not be tempted to try the 3DFX modes, even if you have software like nGlide that makes most 3DFX games compatible, Resident Evil will not work in this mode. When the installer asks you which components to install, make sure to select all the available options. Once the installation is complete, navigate to the Resident Evil folder on your PC. You will find that the installer has copied a folder called USA and that there is one file, “Uninstall.exe”. Manually copy all the files (but not the folders) from the Resident Evil CD-ROM over to your Resident Evil installation directory. When you’re done, the Resident Evil game folder on your PC should contain the USA folder and a number of DLL and .exe files (you can delete the Checker.exe and Setup.exe files if you like). Finally, set the ResidentEvil.exe program to run in compatibility mode for Windows 95. If the installer made short-cuts to the game, they may be pointing to the executable file on the CD rather than on your hard drive. Either delete the shortcut and then re-create it or edit the existing shortcut to point to the ResidentEvil.exe on your hard drive and NOT on the CD-ROM. Before we can play the game, there are a couple more files we need to obtain. Resident Evil will run too quickly on modern PC’s unless we use a specially modified direct draw library. You can read the details of the file and what it does here. Download the file directly by using this link. The file is downloaded as a zip folder. Open the zip folder and copy the ddraw.dll from the zip into the root (top level) of your Resident Evil game directory. Since this is a specially modified system file just for Resident Evil, do not place it anywhere on your system other than the Resident Evil game folder. Before you try to start the game, you should also download the rewritten Resident Evil configuration tool. You can download this tool here. Drop the tool into the Resident Evil game folder and run it. A “Resident Evil Config” window will appear with two tabs. On the main tab, choose the screen resolution for the game. Remember that modern graphics cards won’t show screen resolutions below 640×480, so make sure to select at least 640×480 if you want to play the game full screen. You can try 800×600 too, but in our tests the game would never run at a higher resolution than 640×480. The config tool also has options for setting keyboard controls and gamepads, simply click on the Input tab and configure the keyboard controls however you choose. If you plan to use a joypad, we strongly recommend using Xpadder rather than trying to configure the pad using either this tool or the in-game options. Remember to click on the “Save Config” button on the “Main” tab when you are done setting any options with the configuration tool. The Start button on the configuration tool is supposed to launch the game, but it never worked for us, so simply close the tool for now. Like many old games, Resident Evil places its save game files in the same folder it is installed to. If you installed the game to the default program files folder, you may find that you cannot save your progress. To solve this problem, either run the game as administrator or change the permissions on the games folder so that your account has full read/write access. For a tutorial on how to set the correct folder permissions, click here. You’re now ready to start the game and face the undead hordes. If you want to configure a game controller, it’s time for our old friend Xpadder to help again. Although Resident Evil supports game controllers, getting them to work correctly proved somewhat difficult. Fortunately configuring Xpadder to emulate the keyboard was easy. 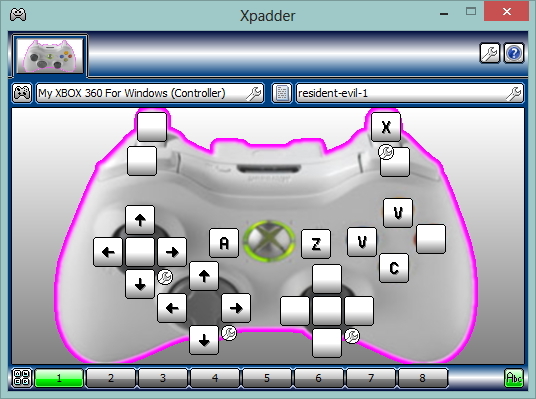 Below is our Xpadder configuration for the 360 gamepad. The controls above are based on the controls in the Playstation original. Pressing the right trigger will ready your weapon, pressing the A/Green button will attack or perform an action, while the Y/Yellow button will cancel an action or make you dash. The back button will access your inventory while the start button opens the pause menu. On the analogue stick, you may wish to configure a distance zone, so that when the stick is pushed all the way down, the character will run. If you’re not familiar with distance zones, see this tutorial. This is entirely optional of course and you may find it easier to just hold down the dash button to run. Remember, if you do set up a distance zone on the analogue stick, you will only be able to navigate the menus with the d-pad, since the key for dash is the same key as cancel/close. You’re now completely tooled up and ready to take on the Umbrella Corporation in the world of survival horror. Enjoy this superb piece of videogame history and don’t have nightmares! First of all, i’ve got to say that yo’ve done a great job with this page! I’m a big fan from the first Resident Evil and i’ve tried your instructions to run it on a PC nowadays, but it isn’t working. I’ve tried it on a WIN7-System, but i think it has to be the same as on your tested Win8 machine. Do you know about any issues that maybe could help me here? What graphics hardware do you have in your PC? I got the same problem here. I have 2 HD Radeon 6850. I’ve run into a minor issue with the game myself. It does run at a more appropriate speed, but I’m running into two issues. First issue this that there are black boxes and transparency is broken for a lot of the assets in the game. Also the sound is not working at the moment as well. I’m using my laptop’s Intel Integrated graphics card to play. Try installing nglide which is what I have then open it and set it to your liking for resident evil and it should work. Greetings. Fisrt of all, thanks so much for this tutorial. I followed all your steps, but I get the “failed to initialize graphic hardware device resident evil (3)” thingie. I’m the one who did this, i mean the RE config tool and the ddraw.dll. I will be moving to win10 in some time, so i guess won’t need change anything at it to keep it working since it works on win8. About the config tool, as it is written here, is not a very good way to config. It shows the resolution 800×600, which is really listed on the registry options as a entry, but it doesn’t work for some reason, i was looking into that but i never updated this tool again because the original setup window for RE works a bit better. I do have a newer version of the ddraw.dll, trying to amend the out of sync audio, but it makes the gameplay miss too many fps, (it runs at around 10 fps) so i guess no one will bother with this version. I got the same error. Any ideas on a fix? So i’ve tried this and many other “fixes” for this game. But nothing is working for me at all. I don’t know what else to do. It’s going wayyy too fast for me. Has anyone got this to work on windows 7? You will need to add an exception in your AV software so you can download and install ddraw.dll. Unfortunately, false positives are common these days. Wouldn’t really help me with the error message, though. I’ve all but given up on this one. When you said to manually copy all the files, but not folders from the CD-ROM to the install directory, did you also mean for the files in the folders to go or just everything else? Too anyone interested I found the definitive fix for this game that also fixes speed issues. I tried everything else and was completely frustrated until this. If you’re running Windows 8 then the speed fix is really not needed since many old games like No One Lives Forever etc. seemed to be locked at 30 fps which was undesirable. In the case of Resident Evil I found it benefited the game because it prevented it from running too fast. Unfortunately with Windows 7 and Windows 10 this is not the case. I found the dll file in the description of this article did not fix the speed issue. Since I’ve gone to Windows 10 I needed to find a solution. In the description are 2 links to “Link to Resident Evil Fix File”. It’s a .rar file which needs to be extracted NOT to the root folder of Resident Evil but actually into the “USA” folder. There is a ddraw.dll file in the DDRAW folder. It needs to come out of there and into the “USA” folder with the rest of the extracted files. Instead of running the RESIDENTEVIL.EXE from the CD or ISO you run NEWEUR.EXE from within the “USA” folder. Of course it was still necessary to set the NEWEUR.EXE to Windows 95/98 compatibility mode. I’m using this solution now and it works a charm. 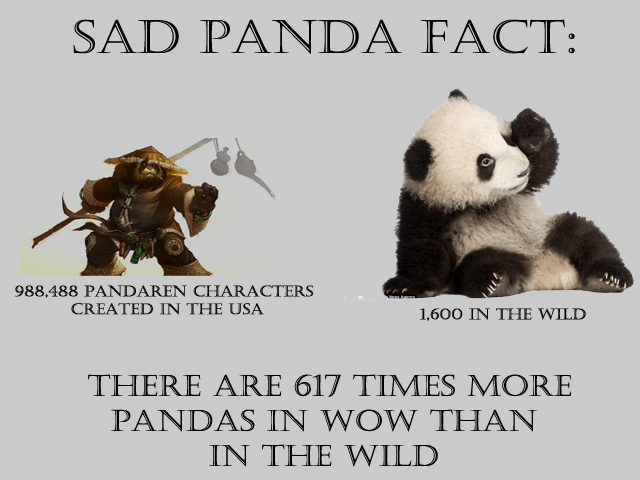 I don’t know whether the admins could check it out and maybe find a permanent home for them here perhaps. Sorry I just wanted to clarify that the dll file in the description of this discussion thread did fix actual play speed but cut scene animations still ran way too fast. The fix in the Youtube video description did fix the fast cut scene problem. I followed your guide and for the most part the game works perfectly and i have successfully beaten both scenarios without any game breaking issues. however i am having a minor graphical issues involving layering. for example: when i am killed or other enemies lose limbs the gore textures that should be displayed on the affected areas of the models don’t appear and instead i see the the normal texture with a red tint. and parts of some of the pre-rendered backgrounds that should be appearing under me or behind me appear over or in front of me instead. And in the room where plant 42’s roots are i see hall of mirrors issue in the far left corner where the roots are located. I have a slight suspician that this could have something to do with my copy being a bit scratched up but it may have something to do with compatability as well. i am currently using windows 10 as my operating system. I think dgVoodoo2 works with this game now, might be worth a try. Tried to install this game on my Windows 7 laptop, changed the files to compatibility mode, and was immediately hit with a “this game would only run on Windows 95” error. Have I done something wrong? It says it can’t install the direct x and it exits outt he installation process, then when I try to run the game it says that the data was damaged and to run setup again. Any advice? Don’t install DirectX from the disc just skip that part. Everything goes alright until I put the installation path and hit “OK”. Then the installation quits. Running Windows 10 with a AMD Radeon HD 6670, 16 GB RAM. You should not change the installation path. Ok, thanks that did the trick. Now, as soon as I hit play, I got a “Failed to initialize Graphic Hardware Device(3)” window. Tried all rendition options to no avail. Sometimes i have gotten that same error and i all usually have to to is restart my computer and try it again and it usually works. i took above steps and it worked on win7 64 bit, thanks! but, i have a french version without a USA map/directory, but instead it has a FRA, for french directory. How can i change the language to english/uk?! step 2 : change compatibility to win 95 for exe files. step 3 : run the “Checker.exe” program and choose “Install Resident Evil”. here’s where it starts to get messed up. when i click checker.exe, error : create process setup and create process RESIDENT EVIL shows up. now, did i download a RE1 installer with missing parts? or do i need to do this part first unlike your instruction of doing it AFTER successfully installing it? now remember that i did not copy the setup.exe in the directory, so i came back to the folder where i extracted the re1 installer and ran the setup again. now it will ask the directory folder and i go to the created directory folder but guess what, it will create another directory folder inside the directory folder i just created !. 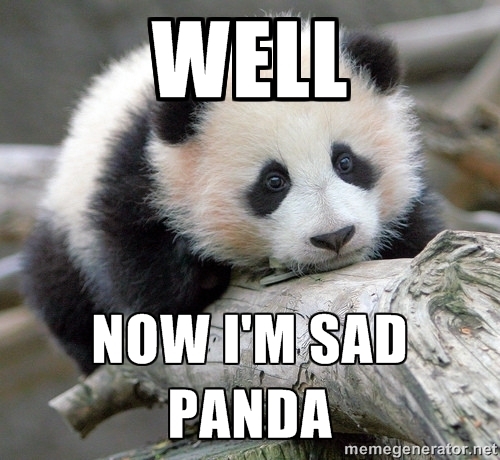 then error again, and i’m stuck in a loop. Sorry but we can only support original versions, not downloaded pirate versions, even for very old games.